The Custom of the Country (1913) presents a central character who ignores any positive influences which surround her, and always does the wrong thing with the worst possible motives. The novel deals with issues which now seem amazingly contemporary – the striving for wealth, fashionability, and a nouveau riche lifestyle which is something like an early twentieth century version of Hello magazine. And yet because these issues are connected so closely with class and wealth the narrative also has its ideological roots in Balzac. When Jane Austen wrote Mansfield Park she created a heroine (Fanny Price) who is increasingly difficult for readers to tolerate – because she never puts a foot wrong. No matter that all the other characters around her have human weaknesses and failings, Fanny Price suffers in silence and always does the Right Thing. This makes her tediously self-righteous and insufferably priggish. 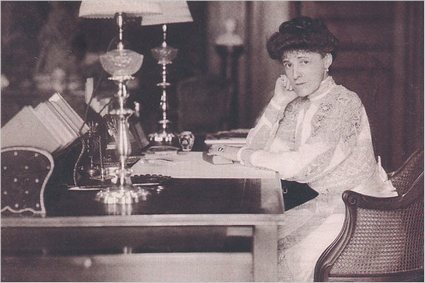 Edith Wharton’s Undine Spragg is the opposite: she is insufferably self-seeking and obnoxious, and she claws her way to success by trampling on anyone who gets in her way. This is a study of ruthless social ambition, material greed, and self-indulgence which seems almost to presage the bitchy anti-heroines of contemporary television soap operas. 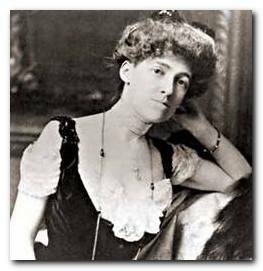 Undine Spragg has almost no redeeming characteristics whatsoever, and in some senses it is a mystery why Edith Wharton shoud have spent so much of her creative energy documenting such a negative example of American social life. Undine Spragg claims that her ambition is simply “amusement with respectability”, and a number of commentators have been happy enough to take her at face value. But this simple formula is neither truthful not sufficiently comprehensive. Her notion of ‘amusement’ also includes constant change. For instance, she is married four times within a decade. It also includes an extravagant standard of living and self-indulgent expenditure on an almost industrial scale. Needless to say, it also includes egotism writ large and no effort on her part to play any constructive part in creating the ‘amusement’. The term ‘respectability’ is in fact her portmanteau term for both fashionability and high class – and she is incapable of making the necessary distinction between the two. She mistakes Ralph Marvell’s class for wealth which he doesn’t have, and Raymond de Chelles’s class for fashionability, of which he and his family are the antithesis. The only accurate assessment she makes is to see that she and her ex-husband Elmer Moffatt are two of the same kind – new world fortune seekers who wish nothing to stand in the way of their ambition. It’s a mystery why Edith Wharton should have them both triumphant in the end. The only disappointment Undine Spragg faces is the recognition that there are some echelons of society which will remain forever shut off to her. As a divorced woman, she can never become an ambassador’s wife. Oh dear. Undine Spragg is an ambitious and visually attractive young woman with decent but indulgent parents who she has persuaded to move from their mid-western province to upper class New York. This is to enable her to realise her dreams of becoming a fashionable socialite. She is uneducated, gauche, and snobbish, and everything she does is motivated by vanity, greed, laziness, and self-interest. By mixing with what she thinks are the right sorts of people, she manages to secure a husband from ‘old money’ New York society – not realising that he has no personal wealth and very few social prospects. She quickly becomes bored with him, and even though he takes up a job to provide them with additional income, she overspends, ‘borrows’ money from one of her married admirers (Peter Van Degan), and even neglects her own child. Elmer Moffatt, a shady figure from her past keeps appearing in the story. He agrees to remain silent about a previous engagement in her past if she will introduce him to people of influence. She is eventually instrumental in facilitating a business venture between Moffatt and her own husband. They both profit from the deal – but she uses the money to leave her husband and child whilst she goes on an extended trip to Paris, where she hopes to secure a richer new husband in the form of Van Degan. Whilst her husband looks after their child and works hard to pay her bills, she goes on a tour of European pleasure resorts with Van Degan. She receives messages that her husband is desperately ill, but chooses to ignore them. Van Degan takes her to out-of-the-way spots where they will not be seen, and when she returns to the United States in order to secure a divorce, he abandons her. As a divorced woman, Undine fails to reconnect with New York society, so she returns to Paris using her parents as a social smokescreen, When they return to the USA she stays on, mixing with minor aristocracy, and re-meeting Raymond de Chelles, a former admirer. Still living beyond her means, she asks Elmer Moffatt for money, which he refuses, In order to marry Raymond de Chelles (who is a french Catholic) she needs a papal annulment of her marriage, which costs a lot of money. So she claims custody of her child Paul (who she has abandoned) hoping that Ralph will buy back from her the right to keep his son. Ralph borrows money and invests it in a speculative business deal with Elmer Moffatt to raise the funds. The scheme fails to materialise, at which point it is revealed that Undine had previously been married to Moffatt (which explains the pact of confidence between them). In desperation at his predicament, Ralph shoots himself – which leaves Undine a widow rather than a divorced woman. She inherits Ralph’s money, and the portion allotted to her own son, and marries Raymond de Chelles. A year later the business deal with Moffatt pays off, and she receives that money too. However, she feels stifled and trapped in the marriage with de Chelles and his very traditional family, and when Moffatt turns up yet again to buy some of the de Chelles family antiques heirlooms, Undine can see that he has become a very rich and even influential man. She proposes a secret affair with him – which he refuses, insisting on a proper marriage. 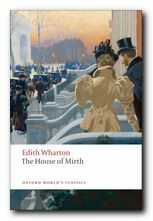 As the novels ends, Undine is re-married to Moffatt and lives at the pinnacle of New York society – but she is already becoming bored with her fourth husband and realises that there are some echelons of society to which she will never be able to aspire. 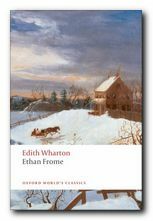 Ethan Frome (1911) tells the story of a poor farmer, lonely and downtrodden, his wife Zeena, and her cousin, the enchanting Mattie Silver. 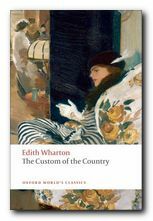 In the playing out of this novella’s powerful and engrossing drama, Edith Wharton constructed her least characteristic and most celebrated book. In its unyielding and shocking pessimism, its bleak demonstration of tragic waste, it is a masterpiece of psychological and emotional realism. Every detail of the story contributes to a shocking and powerful conclusion you will never forget. This book is now regarded as a classic of the novella genre. 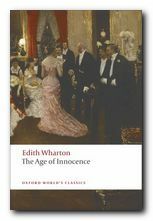 The Age of Innocence (1920) is Edith Wharton’s most famous novel, written immediately after the end of the First World War. It’s a brilliantly realized anatomy of New York society in the 1870s. Newland Archer is charming, tactful, and enlightened. He accepts society’s standards and abides by its rules, but he also recognizes its limitations. His engagement to the impeccable May Welland assures him of a safe and conventional future – until the arrival of May’s cousin Ellen Olenska puts all his plans in jeopardy. Independent, free-thinking, and scandalously separated from her husband, Ellen forces Archer to question the values and assumptions of his narrow world. As their love for each other grows, Archer has to decide where his ultimate loyalty lies. The House of Mirth (1905) is the story of Lily Bart, who is beautiful, poor, and still unmarried at twenty-nine. In her search for a husband with money and position she betrays her own heart and sows the seeds of the tragedy that finally overwhelms her. The book is a disturbing analysis of the stifling limitations imposed upon women of Wharton’s generation. 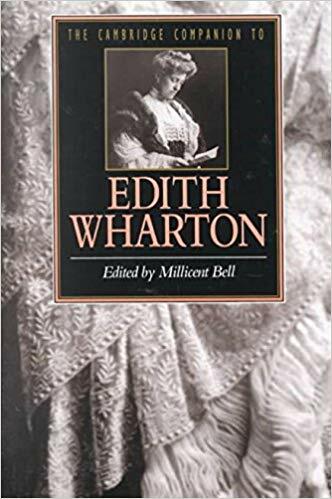 In telling the story of Lily Bart, who must marry to survive, Wharton recasts the age-old themes of family, marriage, and money in ways that transform the traditional novel of manners into an arresting modern document of cultural anthropology. 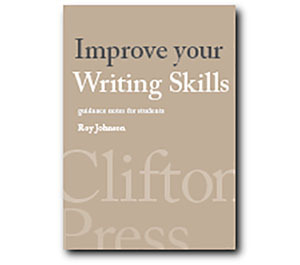 Biographical notes, study guides to the major novels, tutorials on the shorter fiction, bibliographies, critiques of the shorter fiction, and web links. Free eTexts of the major novels and collections of stories in a variety of digital formats – also includes travel writing and interior design. Full details of novels, stories, and travel writing, adaptations for television and the cinema, plus web links to related sites. Old but comprehensive collection of free eTexts of the major novels, stories, and travel writing, linking archives at University of Virginia and Washington State University. Aggressively commercial site devoted to exploiting The Mount – the house and estate designed by Edith Wharton. Plan your wedding reception here. A compilation which purports to be a complete bibliography, arranged as novels, collections, non-fiction, anthologies, short stories, letters, and commentaries – but is largely links to book-selling sites, which however contain some hidden gems.